“Scalability” is a word that you will hear frequently here at CrossFit Flagstaff. 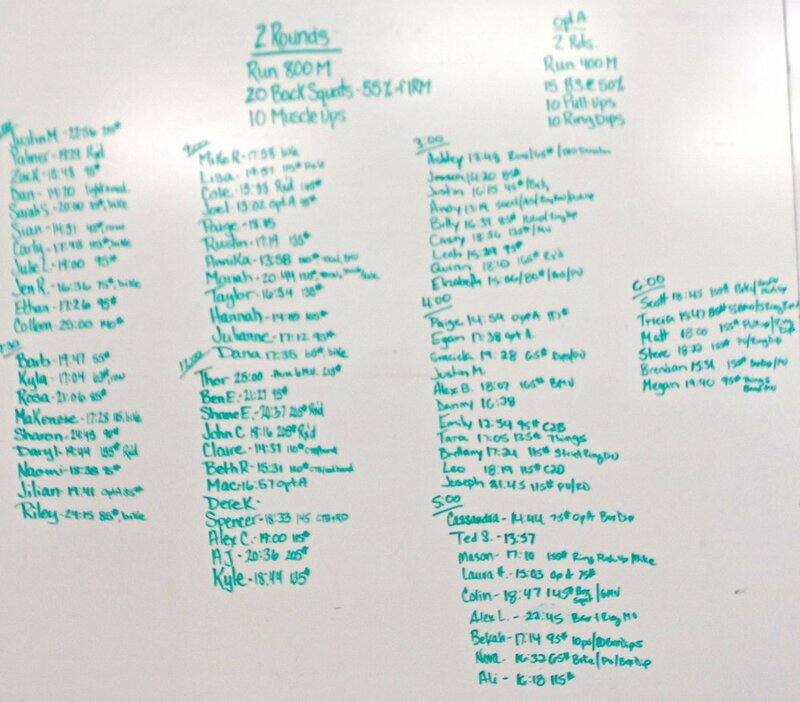 During each class, everyone does the same workout, but that workout will always have several scaling options. This makes it possible for all of us – with our different body types, personal goals and levels of ability – to work alongside one another safely. We motivate one another, cheer one another on, and sometimes participate in some healthy competition. But, ultimately, every workout is yours alone. Your workout = your pace. Every workout has an Rx, which is the recommended weight or movement to be used. Every workout, however, has many options to scale back, also called "scaling", the workout until your are comfortable doing more and ready to progress. Our goal is to help you achieve your goal. We want you to be safe and know that we are here to help. Everyone starts somewhere. Today is your day.